My husband has had an addiction to one drug or another all of my married life, 24 years together. For many years it was marijuana, then gambling, now cocaine. He joined N/A last November and had two dips in that month. From December until last Sunday he was doing so well. He was going to meetings twice a week, putting on weight, we done more talking than we had in years. He has nearly destroyed me financially. I am still trying to support him but last Sunday he went to pick our 12 year old daughter up from her nans, he brought her in to our house and walked out. Ten minutes later I got a text saying "I have used, I am not coming home". I just felt that gut wrenching feeling as I have felt so many times before. Our daughter thinks he has gone to work away for the week, I try to protect her in all of this. I know he loves us both. He has just rang and asked if he can come home, I am so confused, I said he can come and have his tea with us and see how we go. I do not know what way to turn. He hasn't been back to a meeting this week. He has gone back to work. I'm a mental health counselor and have been studying and practicing in addiction counseling for almost a decade. The one thing I have discovered is that addiction and other mental health problems are different in each of us. There are no pat answers or simple solutions to your husband's addiction. 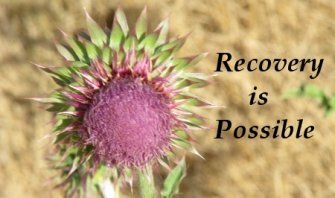 Research has shown that relapse is part of the disease of addiction. If possible what your husband needs is a six month in-patient program where he CAN'T use and then to live in a half-way house for 12 months after that. He has a VERY severe addiction and it is going to take extreme measures to help him rid himself of this terrible disease. He also likely has another mental health problem underlying his addiction. His is a complex case and will need the best resources available to treat it effectively. You also need to begin going to Al-anon meetings at least three times a week and attend open meetings with your husband. You should begin working the steps and find a sponsor at Al-anon who has help their husband to end a long term addiction to drugs and/or alcohol. Please consider what I have said and try to get him the help he needs. Do you have a question or story? It's easy to ask your question or submit your story. How? Simply click here to return to Drug Addiction Parents.